Richard Colby passed away in Tega Cay, South Carolina on November 28,2017 at the age of 75. He was born in Evergreen, Alabama. Richard obtained his B.S. degree from Auburn University where he was a member of Sigma Chi fraternity and was in The Air Force ROTC program. He also met his soulmate Alice Colby at Auburn University. They shared fifty-four sweet years of marriage. He received a regular commission into the U.S. Air Force where he flew the F-106 in The Air Defense Command. 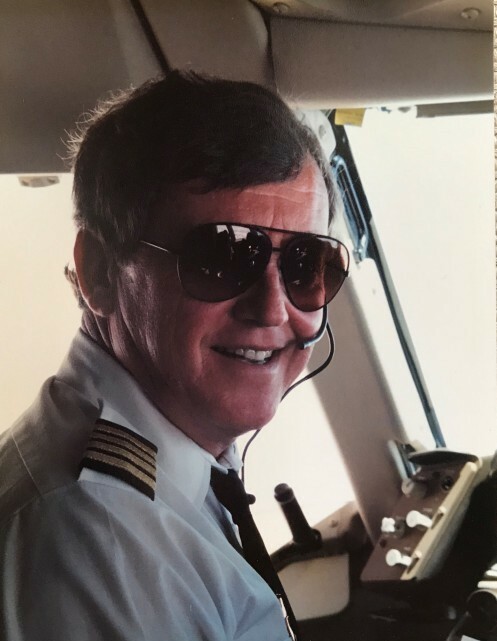 Richard began his airline pilot career at Delta Airlines in January 1970 flying various commercial aircraft. Training and Standards. He finished his career at Delta in 1998 with the title of Vice President of Flight Operations and Chief Pilot. While at Delta Richard also served on the Board of Directors of the Delta Employees Credit Union. He traveled extensively with friends on fishing , hunting, and golfing trips and still found time to start and run several successful businesses yet his priorities were always with his family especially entertaining his grand children. Richard is predeceased by his parents, Elizabeth Long and Richard Brassell and half brother Fredrick Colby. He is survived by his wife Alice, daughter Lauri Barnette of Lake Wylie, SC, son Lee Colby(Kathy) of Peachtree City, Ga. And grand children Erica Barnette, Colby Barnette, Payton Colby, and Greyson Colby, sister Elizabeth Jones(Carroll) of Annandale, VA., sister Lauren Carter of Belen, NM, Half brother Ricky Brassell of Crestview, FL. and sister in law Diane Colby of Gulf Breeze, FL. There will be a memorial service Wednesday Dec. 6, 2017 at New River Church at 136 Carroll Cove Rd. Lake Wylie, SC. 29710. Service at 2:00 with reception to follow. The family suggest that contributions be sent to the Lewy Body Dementia Association 912 Killian Hill Rd. S.W. Lilburn, Ga.30047.